A large study was recently carried out in Japan to assess citrus fruit consumption as a means of preventing cancer. The results were surprising: citrus fruit consumption led to a markedly lower risk for multiple cancers, but only for green tea drinkers. More importantly, daily citrus consumption provided significant protection above and beyond that obtained by drinking green tea alone. The Ohsaki cohort study was carried out on over 42,000 men and women, aged 40-79, starting in 1994. Citrus fruit consumption was determined by questionnaire, and patients were followed up with from 1995 to 2003 (average follow-up period 7.6 years). During that time, 3,398 cases of cancer were identified. Eating citrus fruit every day provided no significant cancer protection for non-tea drinkers. 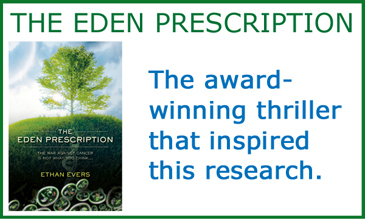 But for those drinking at least one cup daily of green tea, the story was different. Joint effect analysis showed that men experienced an overall 17 percent reduction in cancer risk, while women saw an 18 percent reduction. Both results were statistically significant. Those consuming citrus fruit three to four times per week saw a reduced but still significant benefit of 11 percent cancer risk reduction. But the most stunning result of the Ohsaki cohort study is that green tea drinkers who added citrus fruit to their diet every day saw increased protection from cancer even beyond that from drinking green tea alone. This is important, because multiple studies have already shown that green tea consumption may significantly reduce the risk for several cancers (lung, ovarian, endometrial, prostate, liver, oral). When data was further analyzed for individual cancers, more impressive results emerged. Daily citrus with green tea provided a 38 percent reduction in pancreatic cancer risk for men and women, and a 37 percent risk reduction in prostate cancer for men (both statistically significant). Sizable risk reductions for other cancers were also observed (breast, renal, colorectal, esophageal, bladder) but due to the small number of cases, statistical significance was not reached for any of them. The researchers from the Ohsaki cohort study did not know why citrus made such a good combination with green tea, and called for further study on the matter. It is important to note that the mandarin orange is the major citrus fruit consumed by the Japanese (Japan National Nutrition Survey). There is no known synergizing compound in mandarin oranges (each contains roughly 10 mg naringenin and eight mg hesperetin, but no appreciable quercetin). However, another way to increase green tea's anticancer effect might be to increase absorption of its active polyphenols (especially EGCG). A recent study from Purdue University seems to confirm that this is the case. 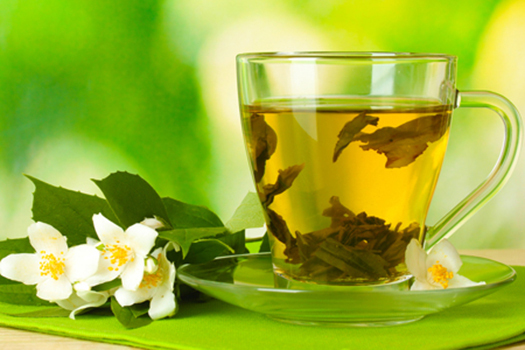 Purdue researchers showed that green tea polyphenols are quite unstable in the gut. In a simulated stomach environment, fewer than 20 percent of the total polyphenols could be recovered after digestion. However, mixing green tea with various additives changed this dramatically. Of all the additives, citrus juice was the most effective in stabilizing green tea polyphenols, raising the recovery rate to as high as 76 percent for EGCG. So if you're currently using green tea (drink or supplements) to ward off cancer, combining with citrus fruit could provide you with a new level of protection. And keep in mind that if citrus fruit enhances the anti-cancer effect of green tea by stabilizing it in the stomach, then it may be important to take the two with the same meal, in order to achieve the maximum benefit.